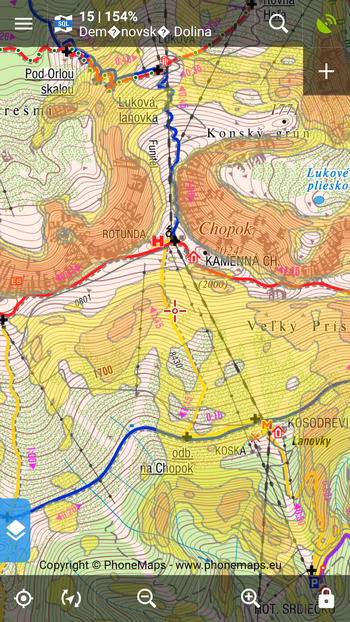 Last time we talked about maps helpful for your winter activities with Locus – LoMaps displaying cross country skiing trails and downhill skiing or ski mountaneering slopes or, areas suitable for snowshoeing and snow biking. We also presented Outdooractive maps containing layer of slope gradients indicating potentially risky areas with avalanche danger. 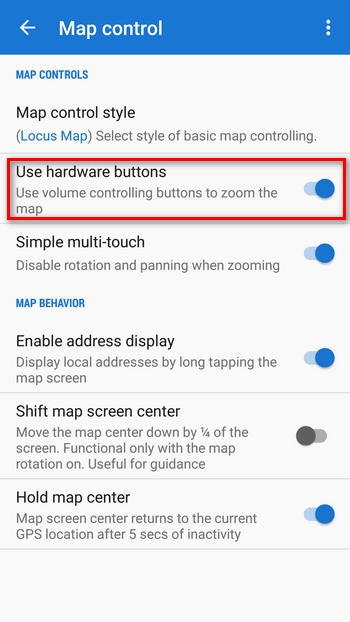 Locus Map, however, can highlight such areas on any map as you will find below. Avalanche terrain is terrain that is steep enough for the snow to slide. Basically, an avalanche releases when the pull of gravity overcomes the frictional forces holding the snow in place. 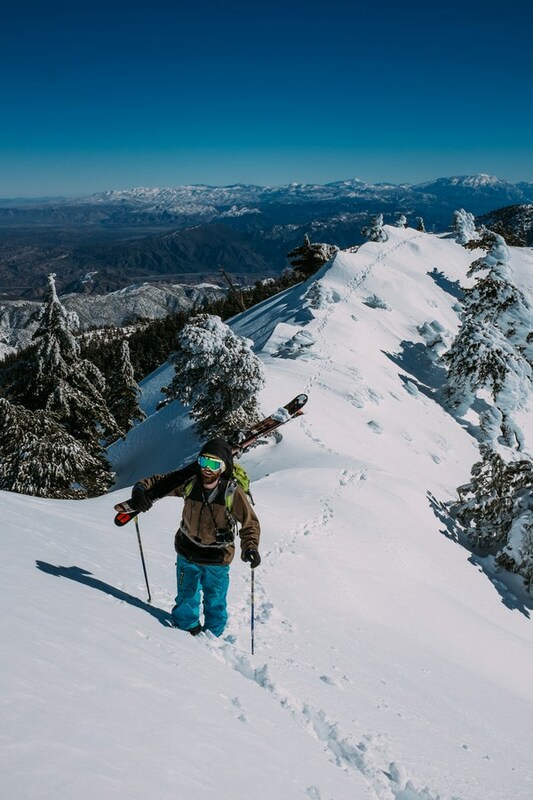 The steeper the slope the more gravity is trying to pull it down hill, and in terms of avalanches, any slope steeper than 25 degrees is considered “steep.” Dry snow avalanches are most common on slopes of 30–45 degrees. 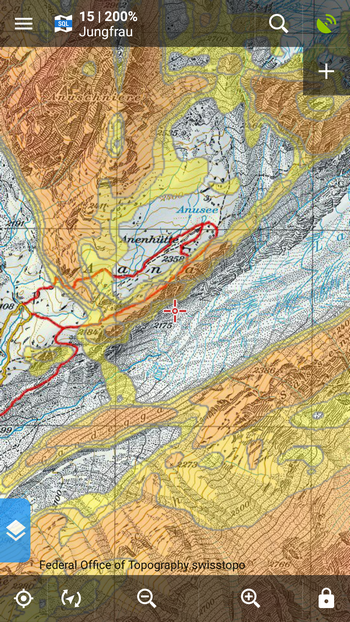 This coloring is rendered from elevation data (available for Locus Map Pro only) and can be set up in Locus settings > Maps > Advanced > Map shading. 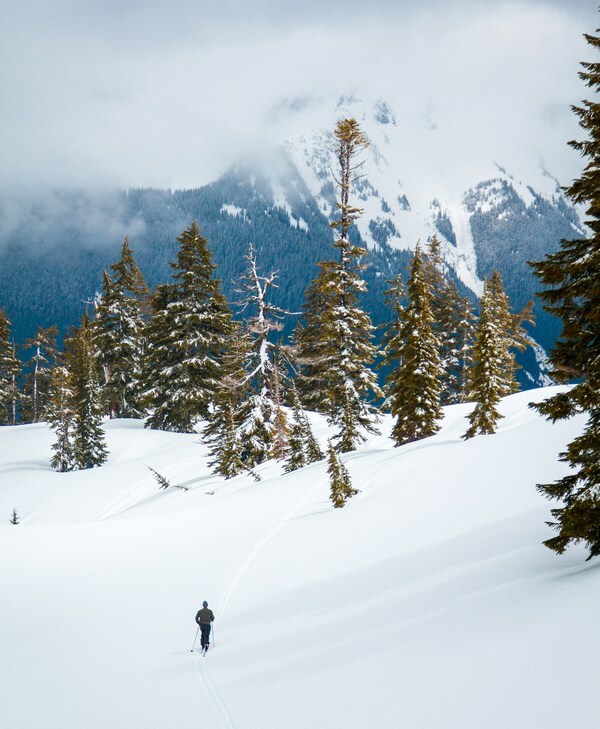 Cross or back country skiing is often an individual sport. Many of us set out to mountains to clear our office-blocked heads being alone. Anyway, the weather and snow conditions can turn your brain cleansing trip to a nightmare. In such cases it’s often useful to be visible to the outer world. 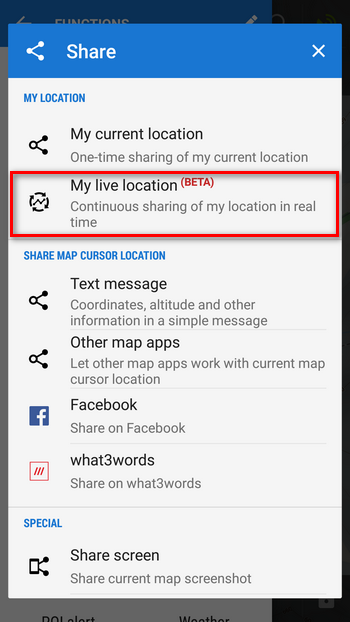 Locus can help your friends or family be informed about your actual location with My live location feature. Share your real-time position with it and your pals will see where you are. 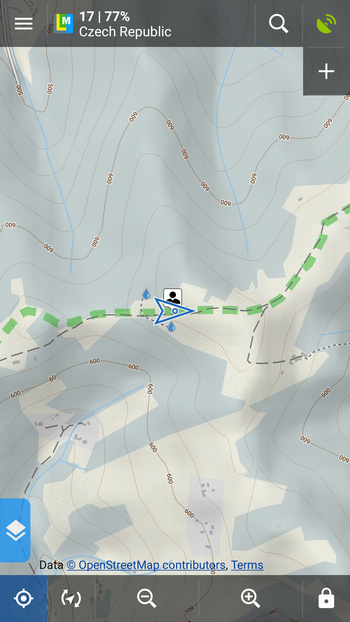 Then send a unique URL address displaying your position on map in any web browser to whoever is interested. Enjoy your winter activities even more! Next time we’ll show you how to set hands-free and screen-free voice navigation for easy orientation on your cross country skiing trip. Follow our blog or Facebook. Ein sehr tolles feature mit den Hangneigungen! Allerdings habe ich beim vorhergehenden Artikel, der die Karteneinfärbung nach Hangneigung erstmals erwähnte, keine Legende dazu finden können. Deshalb habe ich mich gefreut, in diesem Artikel eine Erklärung der verschiedenen Farben zu finden. Farbverlauf über die Hangneigungen sieht gut aus. Habe schon verschiedene Karten probiert aber leider funktioniert es bei mir nicht ??? Hi, and do you have elevation data downloaded for the other areas?